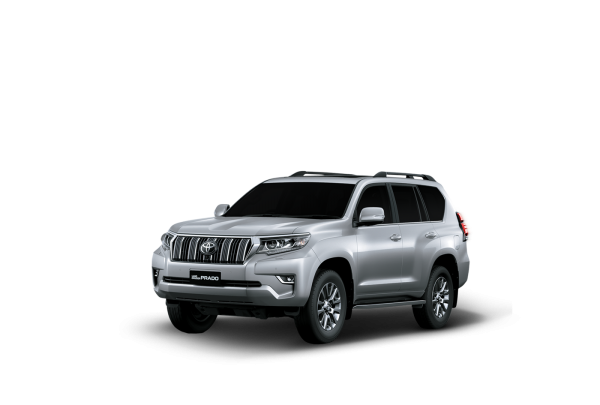 Do You travel over deserts, mountain tops and across rivers, the 2019 Toyota Land Cruiser Prado is the perfect companion of all terrains. Apart from an inspirational facelift, Land Cruiser is equipped with plenty of innovative features such as Kinetic Dynamic Suspension System (KDSS) and Crawl Control. 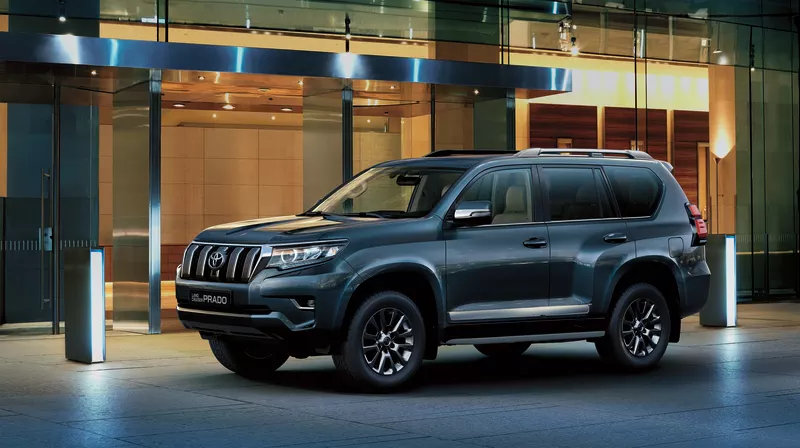 For the New 2019 Land Cruiser Prado, no destination is beyond reach. 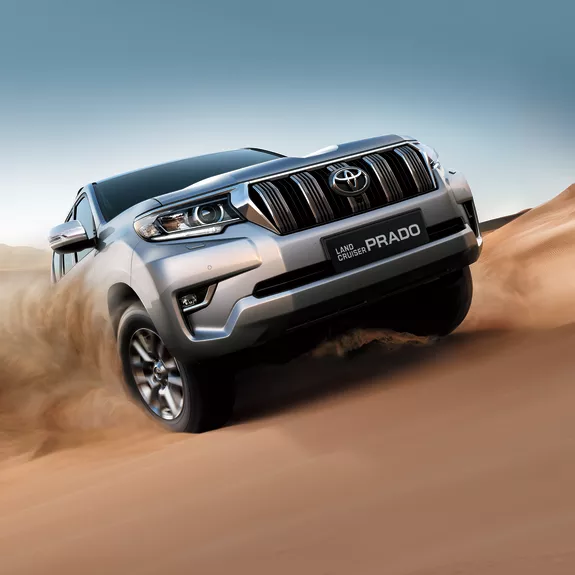 With its 4 Wheel Drive legacy evident in every part of its powerful and impressive exterior design, Prado’s natural lively presence really glosses in rough terrain. 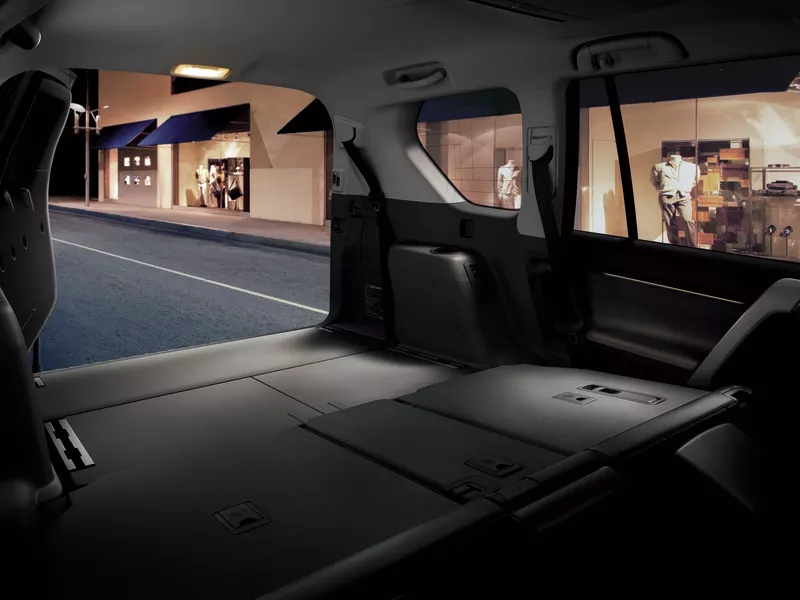 Superior comfort and expediency for everyone onboard is guaranteed by a range of thoughtful features throughout the cabin. 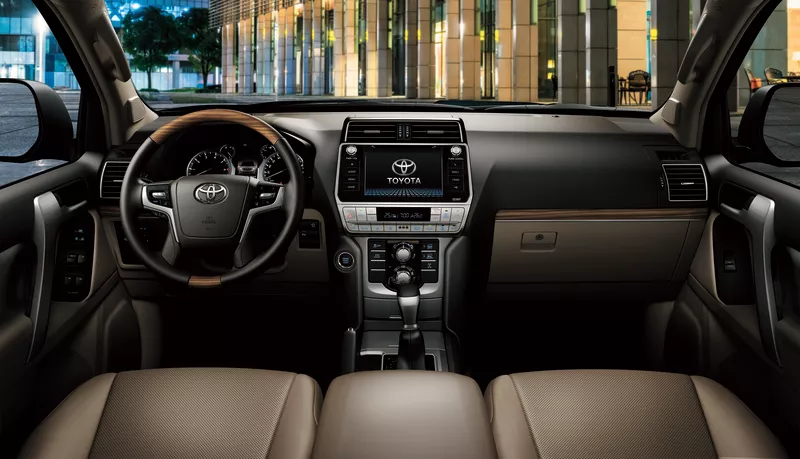 The instrument panel has a sophisticated design with an easy to use instrumentation controls. 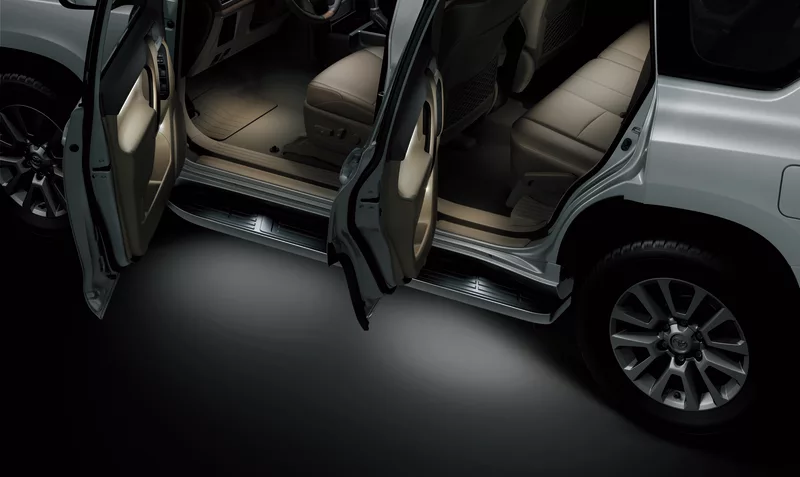 Materials are exclusively selected for Land Cruiser Prado, their textural qualities highly sophisticated. 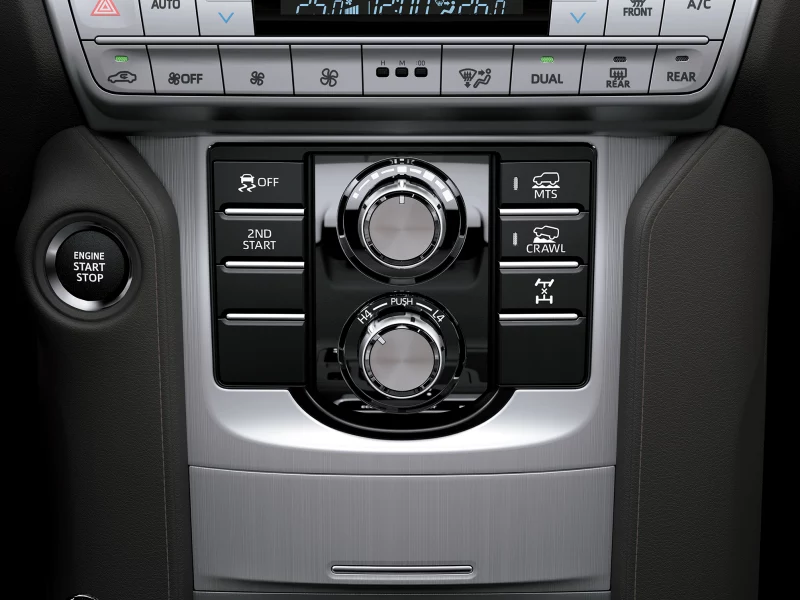 Controls and switches are grouped and laid out within easy reach, achieving eminent practicality. On road or off road, Land Cruiser Prado’s cutting-edge frame structure and suspension system guarantee outstanding performance that will surpass your expectations. Basic variants in Prado range the EXR (five-door) and GXR (three-door) models include various airbags to guard you in the event of an impact. 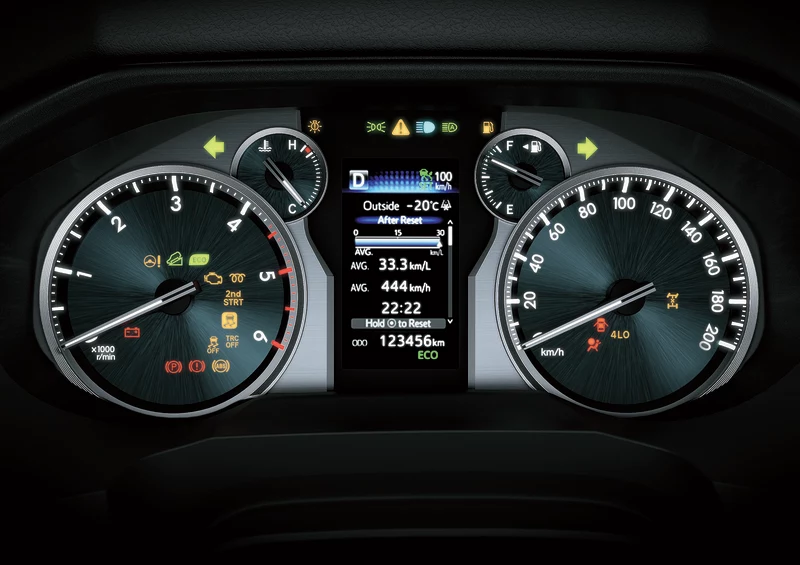 There is also a range of dynamic safety features to avoid any trouble, including Vehicle Stability Control (VSC) and traction control. 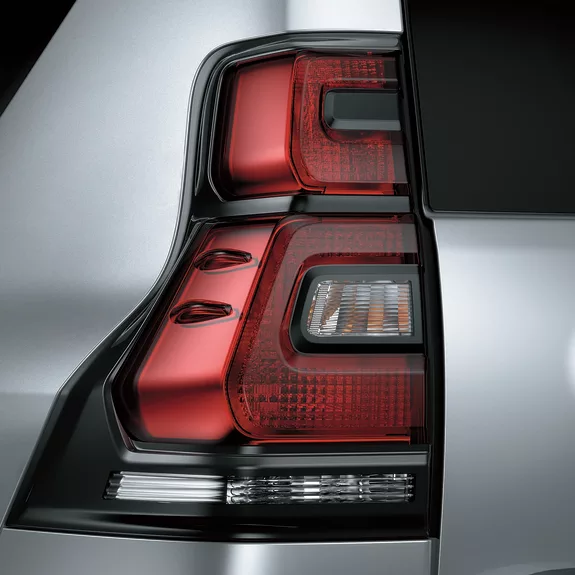 Rear parking sensors help you when parking a large vehicle in the snuggest of spaces and on higher specification models Land Cruiser is equipped with a rear view camera.